Inspired by the beauty of Hindu rituals, Harshil Patel makes art out of everyday objects used for worship. His exhibition ‘Process Practise Play’ is traveling from Ahmedabad to New Delhi for its opening on January 30. While growing up, young Harshil Patel would often visit the Shrinathji temple in Nathdwara, Rajasthan, a highly regarded shrine dedicated to Lord Krishna, where his grandfather worked. The fascinating flower decorations around the temple idol were his first introduction to art. Unfortunately, Patel’s beloved grandfather left for his heavenly abode while Harshil was still a young boy. 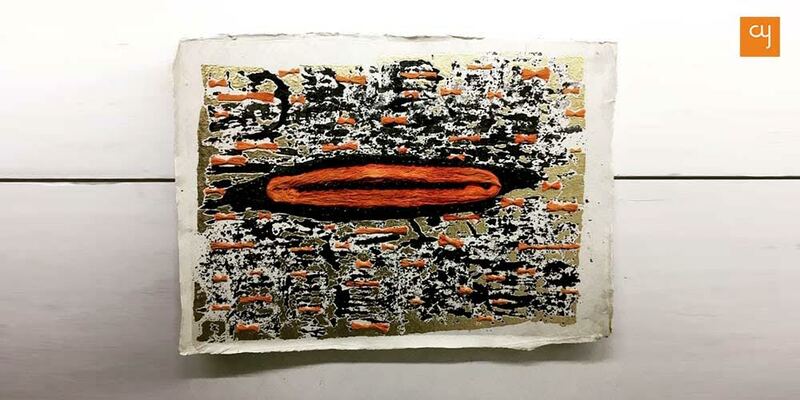 But at his grandfather’s last rites, the budding artist was surprised to discover the stirrings of conceptual art while witnessing a Hindu ritual called ‘Khatla Ni Vidhi’. In this, family members of the deceased arrange a kind of travel kit which, according to legends, will help the departed soul on its way to heaven. Similarly, he saw the glimmer of a prospective art installation while experiencing the Garba, in which everyone dances around the Garbha Deep (Garba Lamp) in a typical formation. 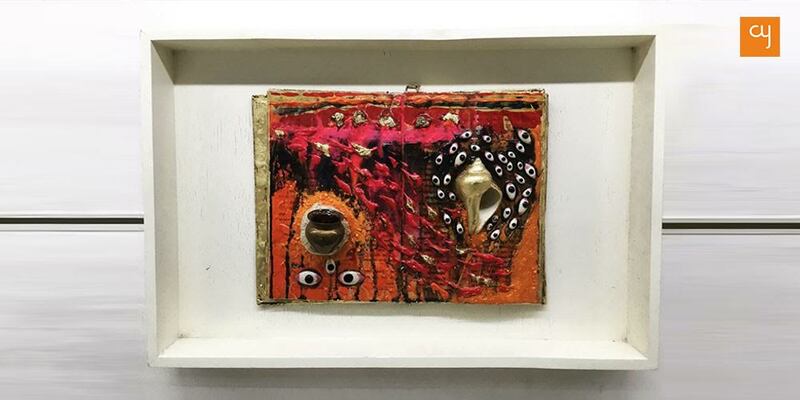 This continuous process of looking at Hindu rituals as art forms became the inspiration for Harshil’s latest exhibition Process Practise Play, held at Ravishankar Raval Kala Bhavan in Ahmedabad from January 24 to 26. After completing his Bachelors from Sheth C.N. College of Fine Arts, Patel pursued his post graduation in Fine Arts at Chelsea College of Art and Design at University of the Arts London. There, at the annual display of works, his concept of depicting Hindu cultural rituals in the form of artistic representations was highly admired. Process Practice Play emerges from that experience and was made possible through the sponsorship of Gujarat State Lalit Kala Academy. The show comprises 44 spiritually inspired installation-style paintings. The sacred artworks are made using materials that are traditionally used in Hindu worship rituals like cow dung, vermilion, cotton wicks, temple bells, coal, sandalwood and rose water. 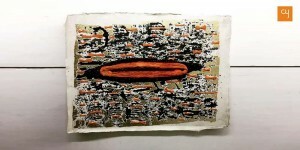 The medium on which these materials are deployed vary from canvas to Khadi paper to books and wood. 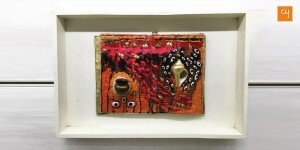 Ornamental objects like prayer beads, seashells and red glass bangles also adorn the artworks with their vivid shades. 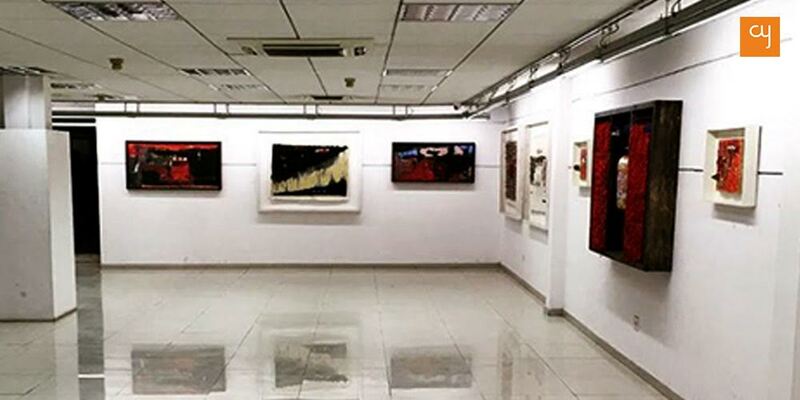 Harshil, who lives in the old city of Ahmedabad, dedicated his exhibition to veteran painter Mahendra Kadia, who recently passed away due to an unfortunate health complication. During a one-to-one conversation, Harshil shared, “I was lucky to stay in the neighbourhood of Mahendra Bhai, who resided with me in Dariyapur area for a very long time. 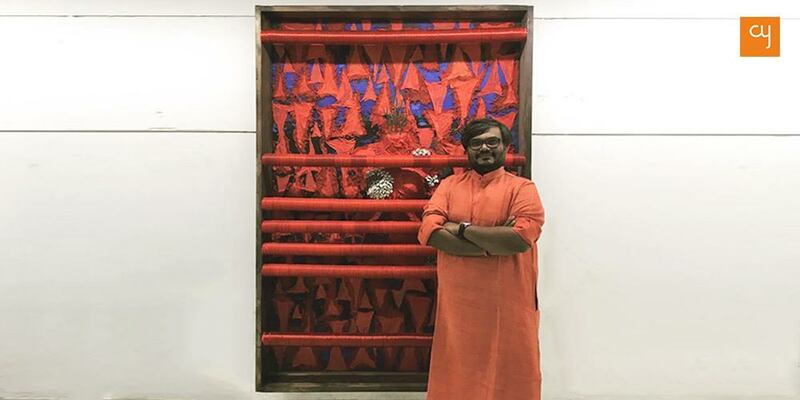 The man made me fall in love with Ahmedabad through his teachings.” 36-year-old Harshil, who loves roaming the city for artistic inspiration, has previously created a lot of art based on the city of Ahmedabad, including a 22 ft long permanent art installation full of Vivid Amdavadi Pol housings at Indraprasth Business Park. Some of his paintings are often inspired by the World Heritage City and contain famous localities, while also representing the typical life of a Pol-house dweller, like himself. 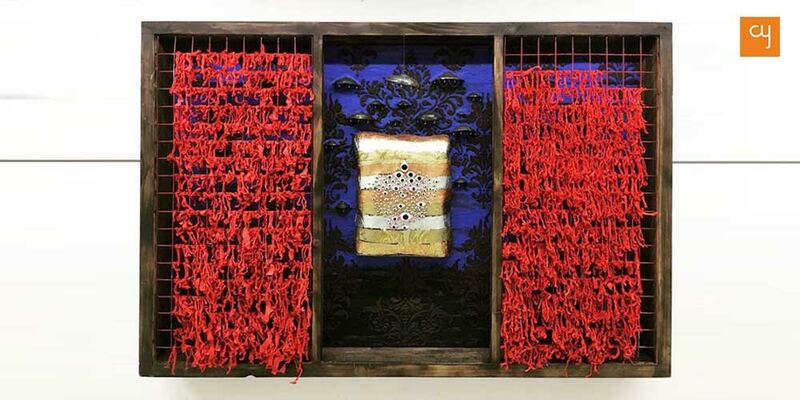 The contemporary, yet sacred, art of Harshil Patel was on display in Ahmedabad till January 26. 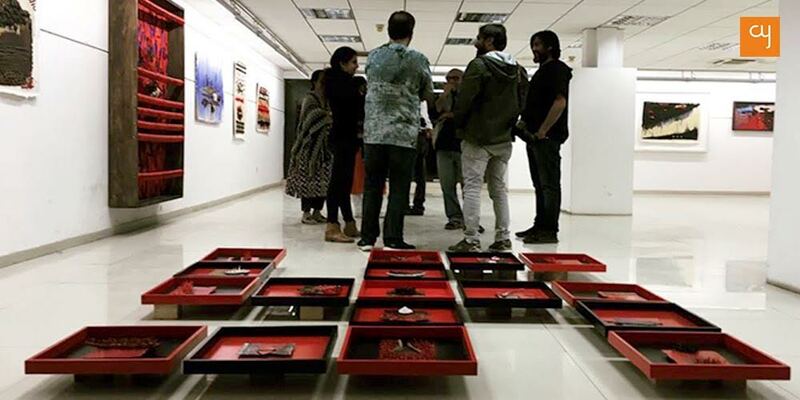 The culture-filled art experience will now be travelling to NIV Art Centre in New Delhi on January 30. Delhiites can witness Patel’s unique creations until the show’s conclusion on February 3, 2019.